We know almost everything about the upcoming truck for 2019 season. 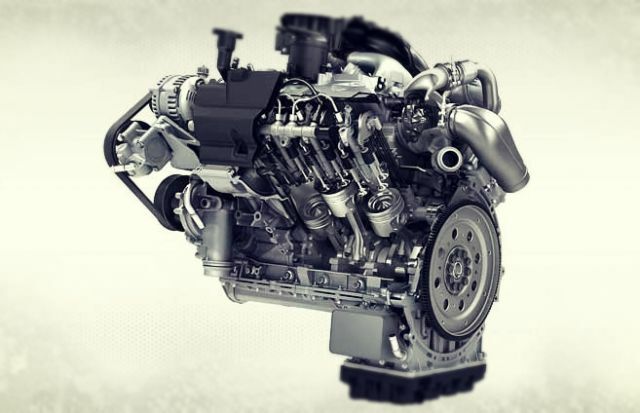 The diesel engine will become official, and that is all we need. But, the battle in a full-size pickup segment is far from over. The 2020 Ford F-150 will need to upgrade the vehicle it succeeds to be more competitive against new Chevy Silverado 1500 and Ram 1500. So, the bosses could turn to special versions. The first model that comes to our minds is an Atlas. We can also see F-150 Lightning or Super Snake limited editions. Well, the major update will be the arrival of the 2020 Ford F-150 Hybrid. There are a lot of stories and rumors about this concept. But, it seems like Ford’s hybrid truck could start a revolution. While everyone expects from Tesla to bring their all-electric pickup, the Blue Oval company is developing its model. We won’t consider Ram and its mild-hybrid vehicle as the serious competitor in this class. The rest of the lineup will be unchanged. The most exclusive 2020 Ford F-150 will still be Limited. Most popular are King Ranch and Raptor. One will give the best combination of skills and luxury, while the second one is an off-road truck. There are no details about the development. But, the entire automotive publicity expects 2020 Ford F-150 Hybrid. Why? The company announced its plan of electrification, where more than 10 models would get a hybrid drivetrain by 2023. By the end of 2030, all vehicles will have some kind of hybrid or PHEV system. And what would be the better start than to bring the best-selling model with such drivetrain? Maybe Mustang. Related to this topic – we can also hear that Ford wants to electrify Expedition SUV and its premium version, Lincoln Navigator. Again, the rumors are speculating about the release date. But, it should happen in 2020 or 2021. Since two SUVs and 2020 Ford F-150 are about to share a 3.5-liter engine, and they use the same architecture, all of them could get a hybrid version at the same time. It warms up stories about the hybrid truck, which would be assembled at Dearborn plant. Atlas is a concept truck that we are expecting ever since it debuted in 2013. This lightweight pickup would change many things in the market. Fuel economy would take advantages of aluminum construction. However, the truck would keep its strength and towing capability. Until we see it as a new model, Atlas could be part of the 2020 Ford F-150 lineup first. The 2020 Ford F-150 Super Snake could make a return to the lineup. Also called Shelby Super Snake packed 750 hp last time when we saw it. Now, more power is coming from a supercharged 5.0-l V8 drivetrain. Engineers could make it 800. Unique graphics and exterior details are highlights of Ford F-150 Super Snake design. Also, the new setup needs support from other powertrain parts – suspension, brakes, shocks. Another model, the 2020 Ford F-150 Lightning could make a comeback. This is also a performance-tuned truck, but it will deliver less power than the Shelby Super Snake. The same 5.0-liter engine will create 650 horsepower. The last time we saw the F-150 Lightning, it used a 5.4-liter engine that doesn’t exist now. With such drivetrain, SVT Lightning pickup could deliver only 380 hp. Now, it is time for some serious numbers. The Blue Oval company is going to keep the current lineup of engines. Well, there are refreshments for the 2019 season model. The company keeps all existing units, and the only addition will be a hybrid. Also, fans expect a full specs sheet for F-150 diesel. It was presented in January, but it is still not available for purchase. A delay, caused by EPA tests, could make it appear as 2020 Ford F-150 Diesel. We just mention it as a possibility. Buyers of the 2020 Ford F-150 have a lot of choices with this truck. You will be able to pick V6 or V8, 2WD or 4WD, 6- or 10-speed transmission. The base unit is a new 3.3-liter V6. It crunches 290 hp and 265 lb-ft of torque. The engine is already proven on other vehicles, but we need to see how it performs in a truck. Previously, buyers opted for a 2.7-liter turbo-six model. Compared to the 3.3-l engine, it uses a new 10-speed automatic gearbox. The combination is good for 325 hp and 400 lb-ft of torque. A 3.5-liter V6 is a well-known powertrain. Mated with a 10-pace gearbox, it puts out 375 hp and 470 lb-ft. However, this is not the most powerful unit in the family. A 5.0-liter V8 is used for toughest tasks. The new Ford F-150 will get a major boost by a diesel engine. It is a turbocharged 3.0-liter Powerstroke drivetrain that is capable to produce 250 hp and 450 lb-ft of torque. Its main rivals will launch similar versions. 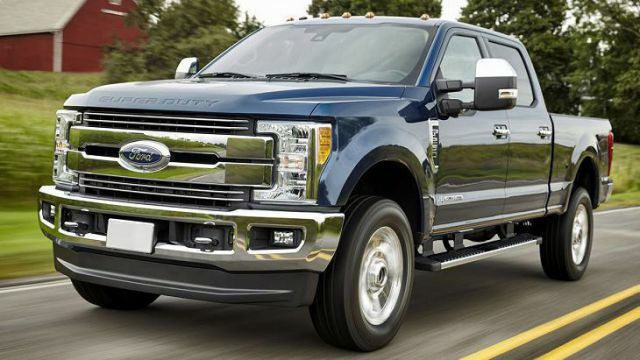 This power will help 2020 Ford F-150 Diesel achieve 11,500 pounds of towing capacity. Also, the diesel truck brings the boost for fuel economy, returning 30 mpg for a highway drive. With all choices, we can make hundreds of trucks with F-150 badge on them. Well, Atlas, Super Snake, and Lightning will make it even more. Besides the options for the drivetrain, we must pick a suitable trim level. For the 2020 Ford F-150, an entry-level is XL, mid-range pickups are XLT and Lariat, and the top-notch models are King Ranch and Platinum. Limited model is a luxury truck, while the performance-oriented Raptor returns to the 2020 squad. Furthermore, cab and bed configurations available for build. Regular cab and SuperCab come with a 2-door layout. The other one offers room for five in the cabin. The CrewCab is a 4-door 5-seat configuration. You can combine the cab size with different bed length. There are 60-inch, 72-inch, and 96-inch boxes. There are plenty more additional features, for the interior, exterior, and bed, no matter which configuration you choose. The only question is how much will new models cost. The existing lineup is not getting any changes, but we are still not sure about the price of Hybrid and other expected models. But, these upgrades are expensive, so the 2020 Ford F-150 Hybrid, or Super Snake, will definitely belong to the high-end class.